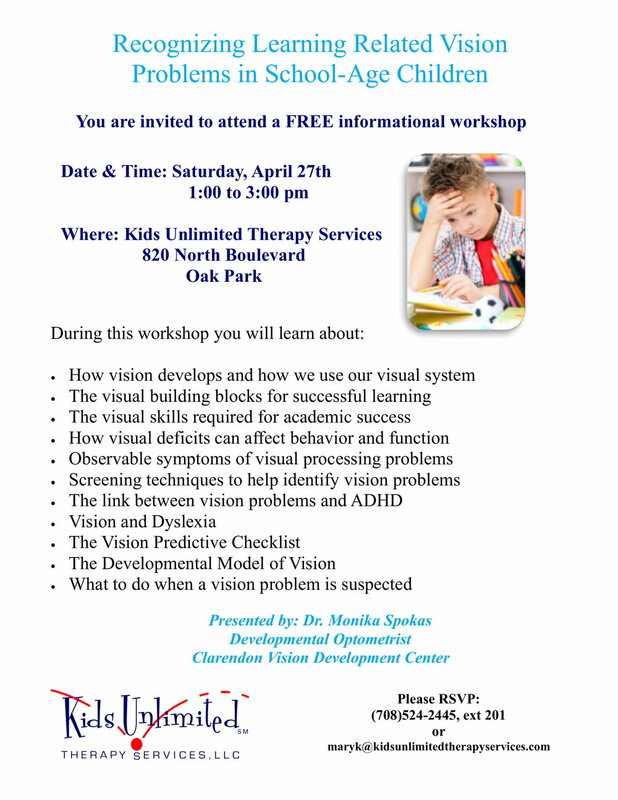 To all professionals, consider joining us at Kids Unlimited Therapy Services for a FREE workshop from a developmental optometrist to learn about vision related problems in children. Enroll Now for Summer 2019 Programs! Enrollment for Summer 2019 programs has already begun! We have 10 programs being offered including a few new offerings - ‘Preschool Readiness’ ‘Food Friendzy‘ and more! See below for more information!